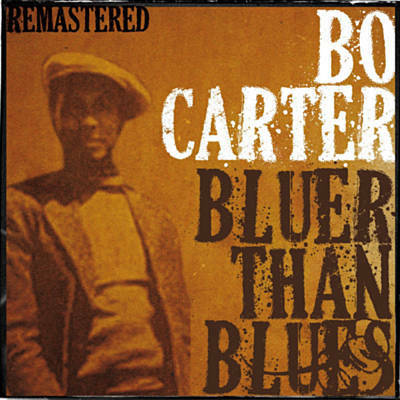 Bo Carter was a fantastic guitar player. He played in a variety of tunings and keys and his harmonic sense was unique in country blues. He demonstrates a higher degree of complexity and sophistication than many of his contemporaries. He recorded from 1928 till almost 1941. The reason is simple : he produced quality till his last session. I recorded 6 of his songs and made videolessons with tab and lyrics for each of them. Most of the songs have the lyrics of the first verse written under the tab for ease of learning. A great example of how unique Bo's guitar playing was. He does things no-one ever did in the key of E. This song is a forerunner of some of the stylings Mississippi Hill players use now. I adapted some of the harsh lyrics though. One of his finest guitar pieces, some beautiful single string runs and great solo's. My favorite Bo Carter song. Bo's very original take on some of Blind Blake's style of playing. Lotsa single string licks and double thumbwork, but since it's a slow song, not too hard and great practice. One of Bo's tougher songs and with an interesting harmonic structure. For a long time people thought Bo recorded a lot of songs in open G tuning but it turned out they were in G6 or dropped G tuning (DGDGBE), which was much easier to play. He was not the only one to use this tuning but the musical language (all chords up the neck) he used was unique. This song has also a very unique structure, Bo used it only once.